Any divorce lawyer you consider needs to have substantial experience in tackling divorce cases in the locality. Choosing a divorce lawyer to handle a family law case is a decision that is very important. The following are important criteria that will help you find the right lawyer for your divorce. Any divorce lawyer you consider needs to have substantial experience in tackling divorce cases in the locality. A divorce lawyer that is experienced will know tendencies of different judges in the jurisdiction and should have the ability to use the knowledge to your advantage. Also, the lawyer should be practicing primarily in the divorce law field. People will often employ a lawyer practicing in another, thinking that any lawyer can do it. 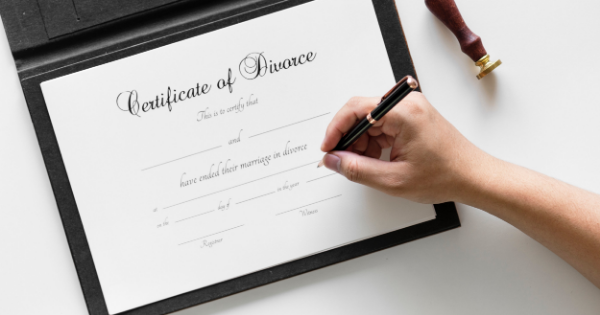 Nevertheless, divorce law is a specialized field that needs particular experience and skills to have the likelihood of reaching a conclusion that is successful. The best way of deciding which lawyer to employ for your divorce case is finding out what former customers have to state about the lawyer. While the process of divorce is not enjoyable, some lawyers have added success at satisfying their customers than others. In case you do not know about any former client for the divorce lawyer, you have to consider asking him or her about a list of clients you can contact to describe their experience. With confidentiality of the client, an experienced lawyer needs to have several former customers with the willingness to vouch for her or him. When a customer is dissatisfied with the divorce lawyer, one of the most common complaints is that they were not able to communicate with the particular lawyer. It is essential that the law office of Amanda J. Cook PLLC is accessible and is prompt in responding to your emails, phone calls, and meeting requests. While you may ask your divorce lawyer about office policy, this is an area to evaluate the divorce lawyer by listening to what previous clients are saying. In case a former client tells you that it is difficult to contact the lawyer, or the lawyer did not either respond to emails or did not return calls or would take a few days to react, you should avoid the lawyer. Divorce is a frustrating and unpleasant process under the best circumstances. In case you cannot reach the divorce attorney, or at least somebody on her or his staff, the level of frustration can exponentially increase. When you make the first appointment with the divorce attorney, you need to inquire about the consultation fees. Some lawyers will provide a free consultation, although many experienced divorce lawyers charge up to two hundred dollars for the meeting or a reasonable hourly rate. During this consultation, it is essential to discuss with the lawyer about what to expect and what to expect. A divorce lawyer with experience will need to a substantial retainer upfront against hourly rates and other expenses. You need to find out about the hourly rate of the lawyer and the upfront retainer, whether a small portion of the retainer is not exhaustible or is refundable, and the price of receiving invoices detailing hourly expenses and charges. You will also have to know invoice details and what is included in them. Also, this is an area you can get excellent info from previous clients that the lawyer has had. This content is sponsored by Sunil Gupta. Sunil Gupta is the founder of ACG Digital Marketing a digital marketing company.